We have often seen medical students carrying a load of books and papers, trying to grasp it all in to understand how the human body works. Wouldn’t it be better if they could just saw a 3D structure of the human heart, walk around and see how the components work? Augmented Reality is becoming a preference in medical study, and rightly so, because it clearly helps in a better understanding of how everything works, nearest to reality. Teaching surgical methods and the anatomy of the human body is not easy work. AR, however, has stepped in to make it easier both for the teachers and the students. Several AR apps have been developed to allow a clear show of everything required in medical studies. Training and then actually performing surgeries is a life and death matter. Most often doctors cannot even find the root cause of the disease which in turn makes it difficult to take care of it. Several apps have been developed that help the doctors to practice big surgeries and also the students who are still in training. Several studies show how technology can impact learning and teaching when it comes to medicine. eBooks, gamification, interactive technology are just some of the methods that can be applied to teaching. AR in medicine is both facilitating as well as promising. It provides an environment that is close to reality and the 3D model of images give the students a chance to perform tasks that they will perform in the world out there. AR learning also provides immediate feedback for the learner, and they also don’t necessarily require a medical expert to supervise consistently. 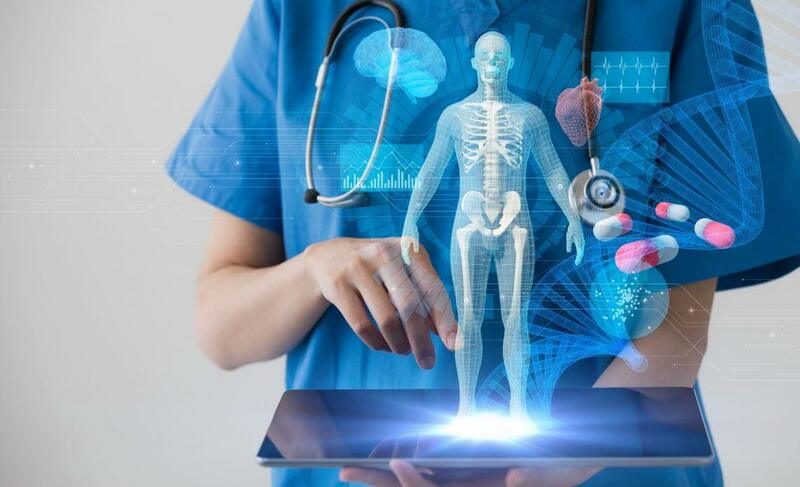 AR in medicine can be a revolutionary step and should be a part of the curriculum so proper methods can be carried out to teach the future doctors.